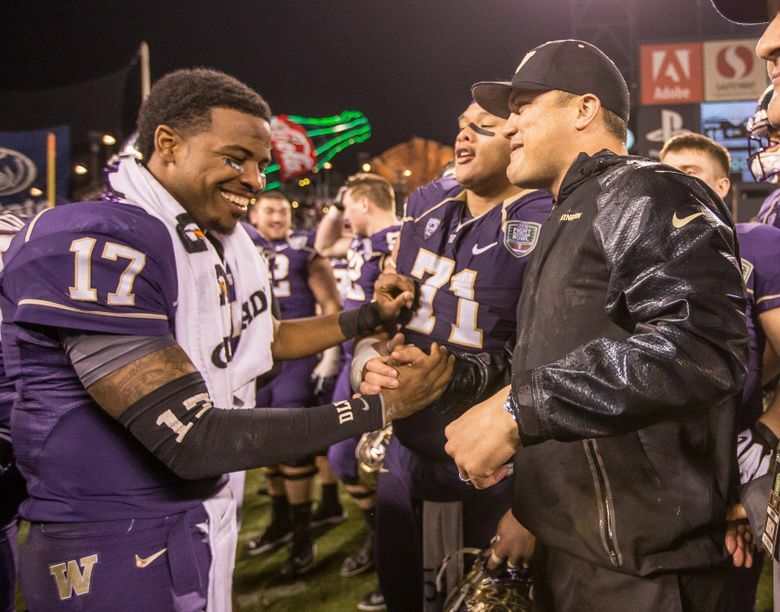 In this week's Husky Headlines podcast, Husky legend Marques Tuiasosopo, in his first season as California's quarterbacks coach and passing-game coordinator, says he expects to have mixed feelings when he returns to Husky Stadium on Saturday night. In this week’s Husky Headlines podcast, Husky legend Marques Tuiasosopo, in his first season as California’s quarterbacks coach and passing-game coordinator, says he expects to have mixed feelings when he returns to Husky Stadium on Saturday night. Plus, a discussion on the Huskies’ late, late kickoffs. And last week’s guess-the-stat winner is revealed and a new contest is set.